Subscribers who had to cancel their subscription and then would like to come back can do this in a very simple and self-service manner. 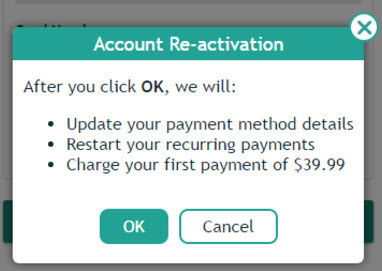 After clicking the first link above, you will need to provide updated payment information and after that the recurring payments restart and the first payment is charged. 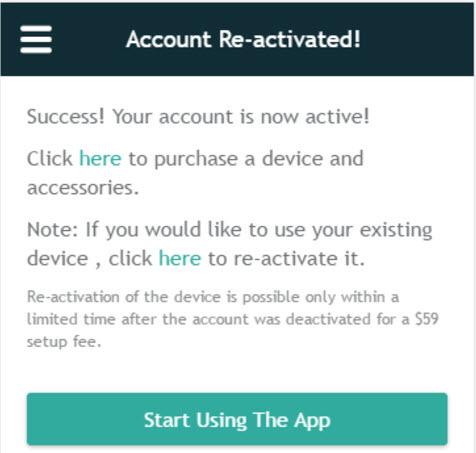 After clicking OK, you will need to decide whether to purchase a device (in the AngelSense Store available from the app) or activate an existing one (possible only shortly after an account is canceled). That’s it! You can now start using the app! As soon as the new device arrives or the existing one is re-activated by AngelSense technical support, you are good to go! If using AngelSense in the UK or Canada, please click see pricing in GBP or in CAD in these links: Important Info for Canadian Customers, Important Info for UK Customers. Why do I get "No Communication" after I reactivate my account? 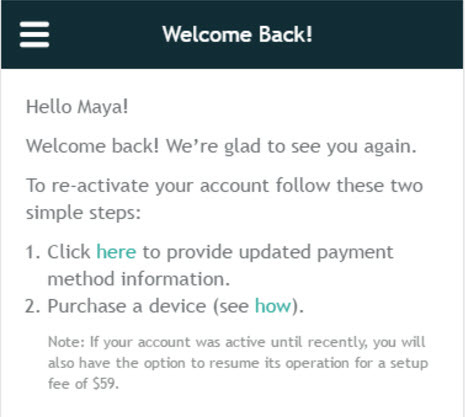 What type of payment methods can I use to reactivate my account?